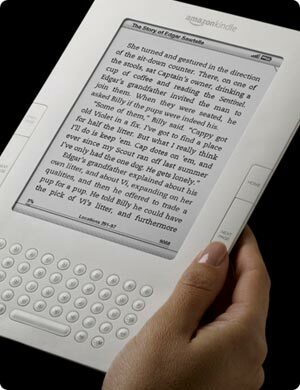 Say Hello to my Little Friend: the Kindle! Yes, I am a technology geek. I love the fact that this little device is the future of reading and holds up to 1500 books at one time, has wireless connectivity so I can browse for and download books from anywhere, and also looks like something from Star Trek. Jarrod really spoiled me for my birthday this year-- its almost embarrasing. Almost.